Hey guys, coming to ya on a Saturday! Weird right? Usually my weekends are spent 1/4 in hibernation and 3/4 in frantic gotta-make-some-recipes/gotta-not-fail-statistics-class madness. But this is the first weekend that really feels like autumn. Crisp air and colorful leaves and I can finally break out my fluffy scarf and sock collections. 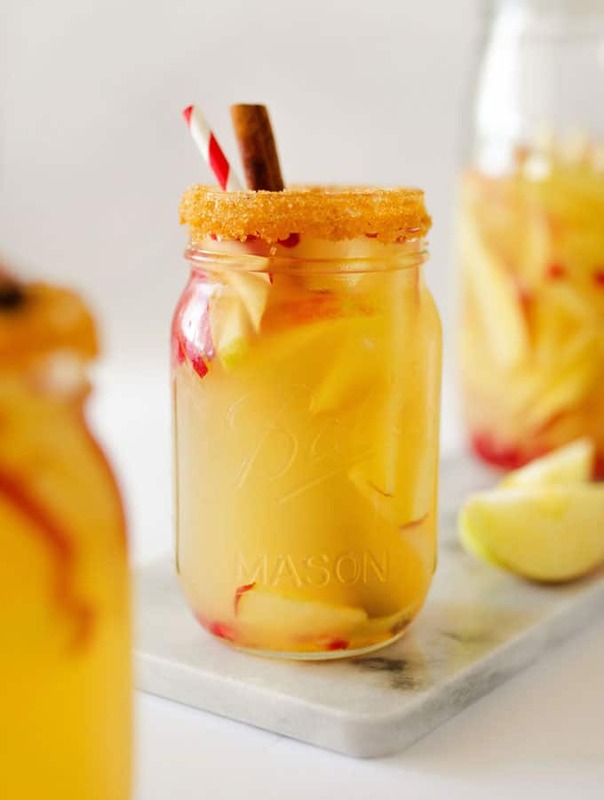 So today we’re putting on our bartender pants and making Autumn Apple Sangria! Some fun times have been in the presence of sangria. Galavanting around Barcelona with my favorite ladies and stumbling through our college town in our annual roommate Parents Bar Tour. But who says sangria has to stay in the summer months? 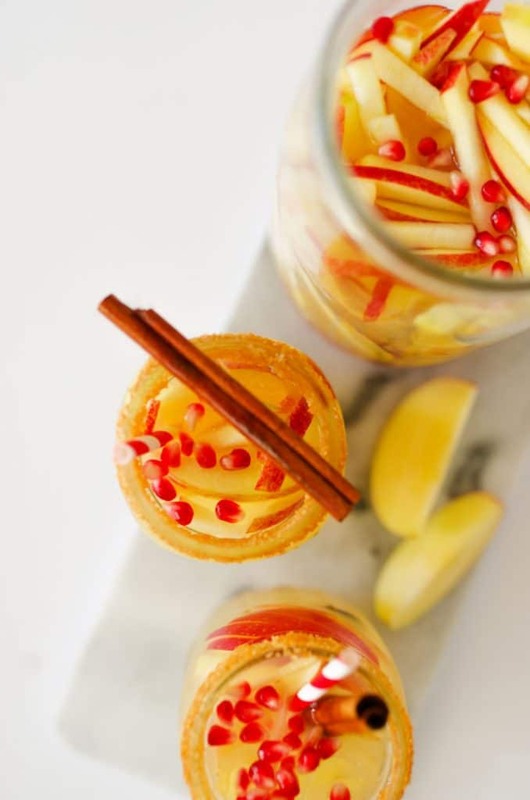 This sangria is packed with autumny apple cider and fresh apples and pomegranate! Oh and wine! There’s some goooood wine in this batch of sangria, because today I’m using ONEHOPE Wine. This is really cool Californian wine company that supports a number of charitable causes with their wines. Each bottle sold of this Sauvignon Blanc, for instance, contributes to an organization that plants trees to help reverse the fact that half of all tropical forests have been destroyed. Drink wine, save the world. I think I just found a new life motto. They’re offering free shipping on all orders over $50 to LEL readers if you enter the promo code LIVEEATLEARN (expires October 31, 2016). 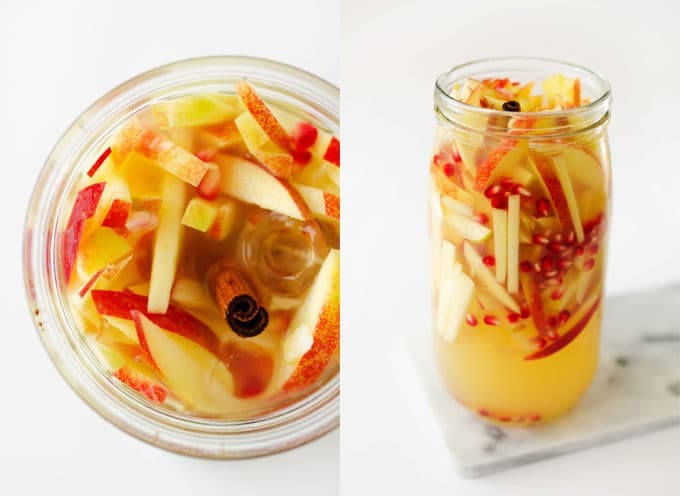 This Autumn Apple Sangria is a refreshing fall drink that comes together in just 10 minutes! Just before serving, add ice and pour into serving glasses. 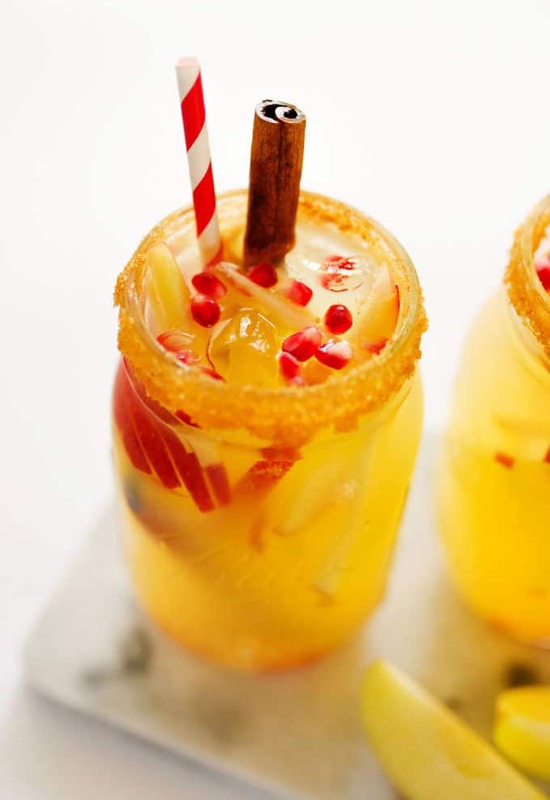 Top each glass with a splash of carbonated water and garnish with a cinnamon stick. For added fancy, combine a spoonful each of cinnamon and sugar. 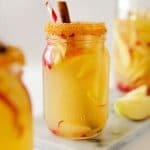 Dip the rim of your serving glasses into the sangria, then dip it in the cinnamon sugar mix before pouring in the sangria. *If you're using apple juice, you may need to add a small squeeze of lemon juice to account for the missing tartness. Taste it and you be the judge! This post contains affiliate links, which means if you buy something from that link I may earn a commission, at no extra cost to you. Thanks for supporting Live Eat Learn and for making these recipes possible! 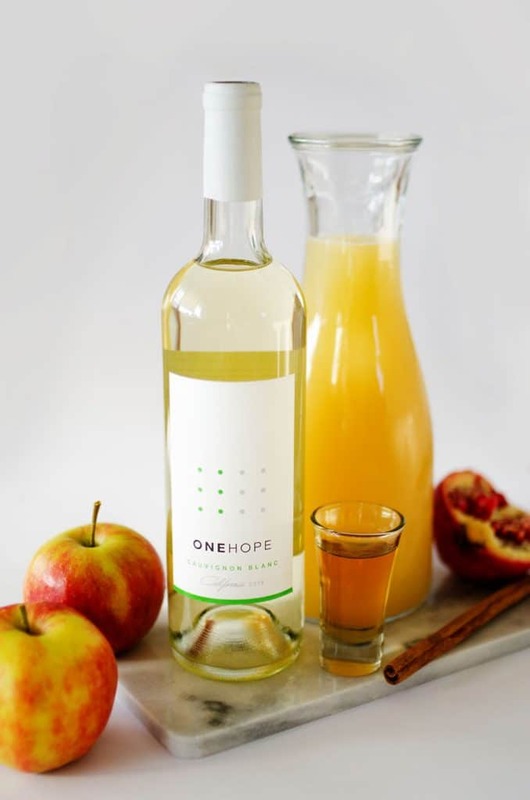 Thanks to ONEHOPE Wine for sponsoring this post! All opinions are my own!